Bridgforth Rutledge practices primarily in the area of business transactions, with an emphasis on commercial real estate, including sales, leasing and financing. He handles transactions involving shopping centers, office buildings, industrial properties and timber land. Bridgforth also assists his clients with entity formation, contract drafting and negotiation, and many other issues arising in the day-to-day operation of a business. 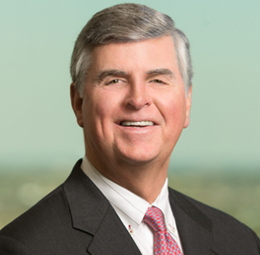 His practical experience and negotiation skills set him apart from many other attorneys, and he often fills a role comparable to that of outside general counsel for many businesses who have come to heavily rely on his experience, expertise and insight. 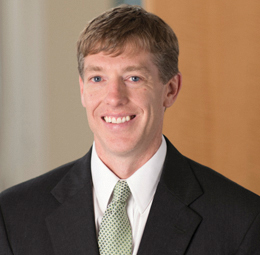 Bridgforth is the head of the business practice group in the firm’s Jackson, Mississippi office. He represents small local clients (such as individual real estate developers and small business owners) as well as some of the largest companies operating in the Southeast United States (such as multi-state utility companies and large chain restaurant companies). In large multi-state transactions, he is often retained to serve as state real estate counsel to handle all aspects of the real estate located in Mississippi. Bridgforth also represents numerous banks in connection with loan transactions. He also represents a number of franchisors and franchisees, and he is one of the few attorneys in Mississippi who is knowledgeable and skilled in the area of franchise law. Bridgforth has a unique skill set that is extremely useful to businesses in a number of areas, and his clients value his ability to balance technical legal advice with practical business insight.